Hulu and Vdio to stream themselves Down Under? Or are they just getting our hopes up? Pay TV and video-on-demand streaming services have long been a sore point for Australians, with only Foxtel and Quickflix being our two main options. The problem for Aussies lies in the fact that although we do have many catch-up services from free-to-air networks to choose from, we don't always get the very best of international shows broadcast on free-to-air TV. 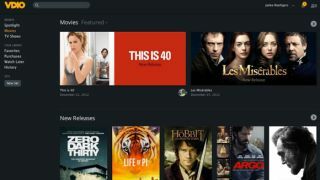 But news of Hulu and Vdio registering trademarks in Australia have us hopeful that we may soon see more options and competition in the Australian market, which is both more expensive and has less offerings. According to website TM Watch, Hulu has lodged its application for streaming video content that includes news and entertainment, and also for merchandising and downloading. In other parts of the world, Hulu offers on demand movies and TV shows, and runs as a subscription service for US$9.95 a month. Vdio, on the other hand, has registered for a fairly straightforward service alongside its logo for streaming video content and providing software and website to enable it. As Rdio, the music-streaming arm of Vdio, is available in Australia, it makes us think that Vdios expansion into the Australian market does seem very likely. Unlike Hulu and Foxtel, it doesn't require a subscription for users to rent or buy titles from its library. In the end, however, all this may amount to nothing. Netflix has had its logo trademark registered in Australia since October last year and yet so far, to access its service, we're still having to consider bypassing geo-blocks and getting international VPNs to allow us to pay for what we want to watch.